"The Watch of the Future"
On November 4, 2012, René Rondeau was interviewed on CBS Sunday, in which he is also shown restoring and assembling a vintage Hamilton Ventura. An Interview With René Rondeau as featured in "WATCH TIME Magazine - CLICK HERE FOR STORY! A comprehensive book on Hamilton wrist watches: "The Watch Of The Future - The Story Of The Hamilton Electric Watch". 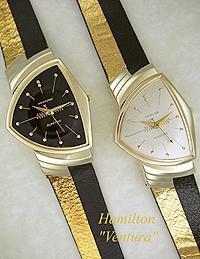 Quality Hamilton mechanical and electric watches for sale. 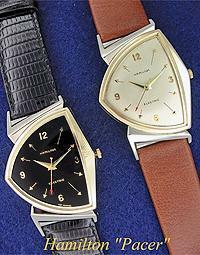 I occasionally offer quality Hamilton mechanical and electric watches for sale. 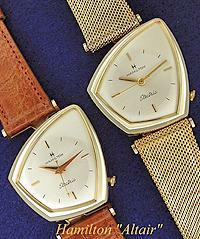 Click here to learn about the famous Model 500 and 505 movements, the worlds first battery-powered watches. 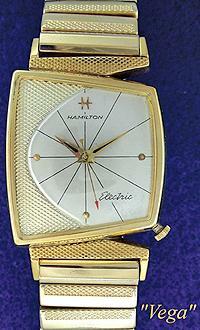 A brief description on the proper care and maintenance of your Fine Hamilton Electric Watch. A brief description of the Hamilton Electric Watch from the beginning to present day and a glimpse at my book "The Watch of the Future" A comprehensive history of the Hamilton Electric Watch. Hard bound, 256 pages and over 350 illustrations. What Makes a Fine Watch Fine? This 1947 promotional movie will give you an entertaining and highly educational tour of the Hamilton factory. You'll see why Hamilton was known as America's finest watchmaker.